This book considers one of the most controversial aspects of children’s and young adult literature: its use as an instrument of power. Children in contemporary Western society are oppressed and powerless, yet they are allowed, in fiction written by adults for the enlightenment and enjoyment of children, to become strong, brave, rich, powerful, and independent -- on certain conditions and for a limited time. Though the best children’s literature offers readers the potential to challenge the authority of adults, many authors use artistic means such as the narrative voice and the subject position to manipulate the child reader. Looking at key works from the eighteenth century to the present, Nikolajeva explores topics such as genre, gender, crossvocalization, species, and picturebook images. Contemporary power theories including social and cultural studies, carnival theory, feminism, postcolonial and queer studies, and narratology are also considered, in order to demonstrate how a balance is maintained between the two opposite inherent goals of children’s literature: to empower and to educate the child. "This is a significant, provocative study of children's textual 'oppression.'" Recommended." 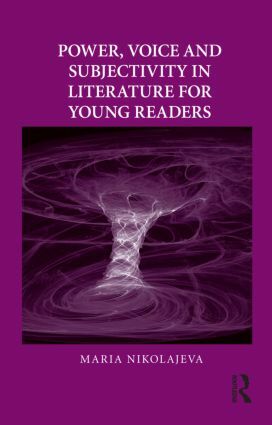 "Essential reading for anyone who is or would be a scholar of children's literature." Maria Nikolajeva is a Professor of Education at the University of Cambridge, UK. She is the recipient of the international Grimm Award for lifetime achievements in children’s literature research. Founded by Jack Zipes in 1994, Children's Literature and Culture is the longest-running series devoted to the study of children’s literature and culture from a national and international perspective. Dedicated to promoting original research in children’s literature and children’s culture, in 2011 the series expanded its focus to include childhood studies, and it seeks to explore the legal, historical, and philosophical conditions of different childhoods. An advocate for scholarship from around the globe, the series recognizes innovation and encourages interdisciplinarity. Children's Literature and Culture offers cutting-edge, upper-level scholarly studies and edited collections considering topics such as gender, race, picturebooks, childhood, nation, religion, technology, and many others. Titles are characterized by dynamic interventions into established subjects and innovative studies on emerging topics.